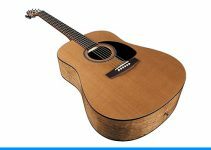 Choosing a gift to give a guitar player who doesn’t need a new instrument, or finding something for those occasions when a new guitar is not practical can lead one wondering what to do. The following list will provide some gift ideas that many people would not have thought about otherwise. These are items any guitarist can put to good use. Guitar players who do not have a stand definitely need one, and most who do can use an extra one, especially if they switch guitars during gigs or practice sessions. This A-Frame stand, with its rigid construction and low center of gravity, minimizes the chances of a tip over. The nonslip feet help it to stay where it is placed. It is durable, yet lightweight, and it folds flat for easy storage or transport. The soft foam back rest and arms will protect guitars from scuffs and scratches. 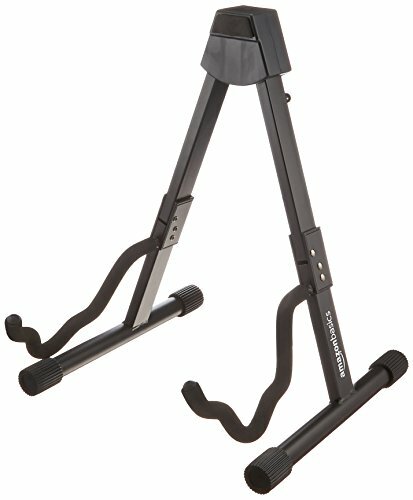 This universal guitar stand has three adjustable width settings to handle nearly any acoustic or electric guitar shape. 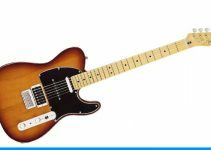 It can easily handle smaller, youth model guitars as well as mandolins or banjos. The AmazonBasics Guitar Folding A-Frame Stand is ready to use right out of the box with no tools or assembly required. Simply adjust the width to match the guitar, and it is ready to use. 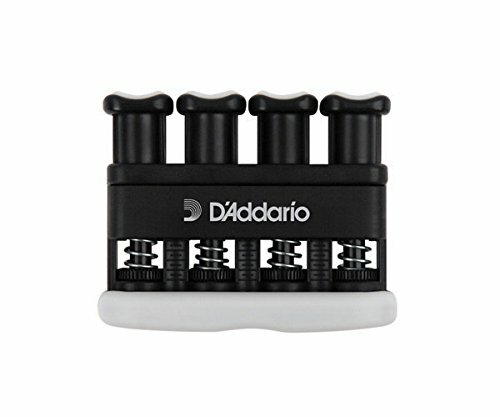 This item is well-suited for accomplished guitarists and beginners alike to help build and maintain strength and dexterity of the fingers, hands and forearms. It features variable tension to enable customized settings for each finger. Beginners and novices can carry the exerciser with them throughout the day and work on finger speed without having to be with the instrument. Seasoned guitarists can do likewise. They can also use the exerciser as an aid in warming up before shows. This model has reversible finger grips that can uncover simulated strings to help build calluses on the finger tips to prevent soreness that comes from contact with the strings when one is first starting to play. While it is a good practice for guitar players to wipe their strings with a clean cloth after playing, it can be a bit tedious and still not clean each entire string. The String Cleaner provides a way to easily wipe all the strings at one time, and it will contact the entire circumference of each one. This helps to extend the life of the strings by removing the oils from the skin that can corrode them and shorten their life. 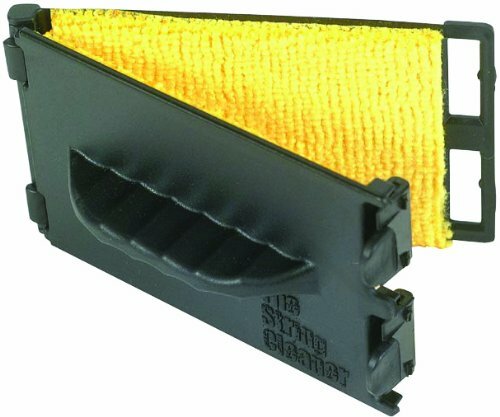 The String Cleaner has cleanable microfiber pads that result in low maintenance and long term use. Small enough to fit in the guitar case, it can go where the instrument goes, so it is always available after the session. 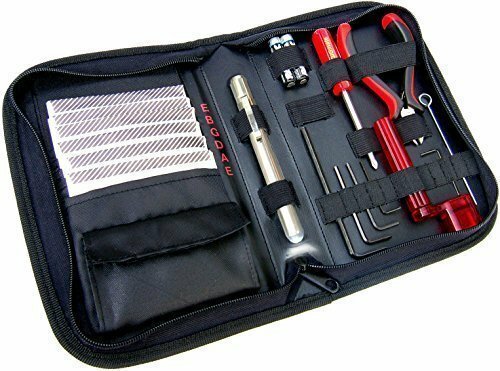 The GIGmate Guitar Tool Kit & String Organizer is a compact, easy-to-carry kit that contains everything necessary to change strings or make the adjustments necessary to set up the guitar to the player’s liking. For string storage, there are six pockets for organization to facilitate changing a string that might break during a gig. The kit contains a string winder to help with getting the strings on the guitar in the quickest manner possible. The winder also has a built-in peg remover for acoustic guitarists. It comes with a set of carbon steel string cutters for trimming the excess length after the strings are installed. For making adjustments, five Allen wrenches are included that can be used for truss rod, saddle, and Floyd Rose tremolo adjustments. The kit also contains an LED flashlight with batteries. 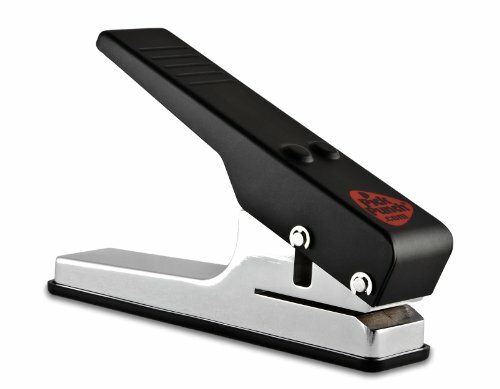 The original guitar pick punch enables guitarists to never be without a pick again. In addition to making picks out of stock material of the preferred thickness, picks can be made from plastic lids or a nearly endless supply of other materials. The pick punch also makes a great gift for guitar players who simply enjoy making their own stuff. 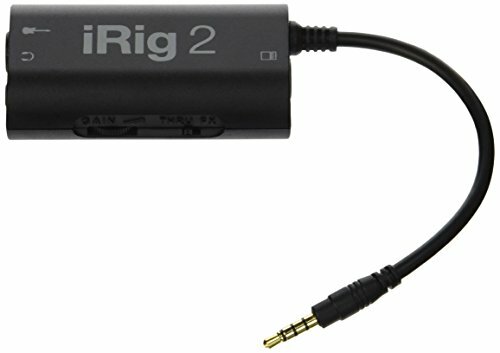 The iRig interface adaptor lets individuals who enjoy playing the guitar get a variety of electric guitar tones through their smart phone or tablet. Great for practice at home or taking the guitar on weekend getaways, the iRig minimizes the amount of equipment one must carry around in order to practice or experiment with tones. Whether the preferred sound is clean or overdriven, this unit lets you experiment. It has an input gain thumbwheel for simple signal control. 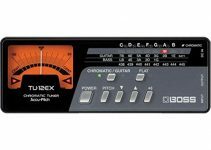 The ¼ inch instrument input makes it usable with guitars, basses, and other instruments. There is a ¼ inch output for amplifiers as well as a 1/8 inch headphone output. The pick holder pendant will hold up to three picks, depending on the thickness. 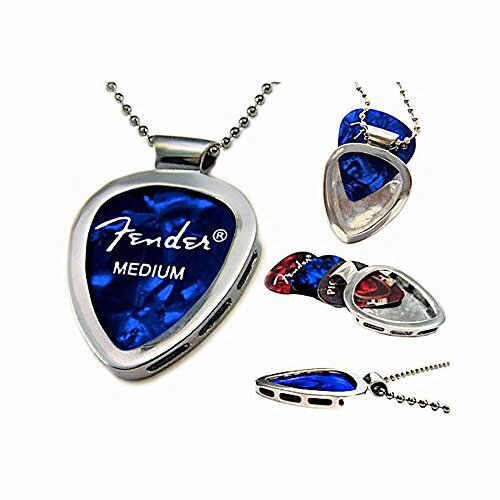 It is a great piece of jewelry for showing your favorite concert pick that you managed to get from a famous guitarist. It could also hold a souvenir pick that came from a vacation spot that you want to remember. For the more practical minded, this necklace can serve dual purposes. It can be used as an identity piece for the individual who sees guitar playing as an important part of who he or she is as a person. For the player who always likes to carry a pick around in case the opportunity to play or try out a guitar comes along, this necklace is the answer. Its construction allows picks to be changed in seconds. The stainless steel material means it will always look good and will never tarnish or fade. The NeckNotes Guitar Trainer makes an excellent gift for a friend or family member who is beginning to learn guitar. It is made to be placed under the strings by going across the fretboard and folding over the sides of the neck. The numbers on the sides then indicate the fret number so there is no need to count frets when practicing hand position. 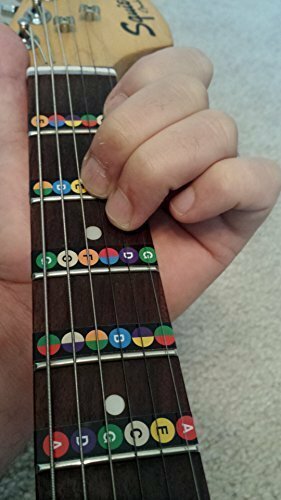 The color coded letters indicate the names of the notes for each string at that fret position. It enables new players to see the notes that make up scales or chords they are playing. Made of wear-proof material, the NeckNotes Guitar Trainer can be used for extended periods of time, making it a good gift for instructors as well as students. 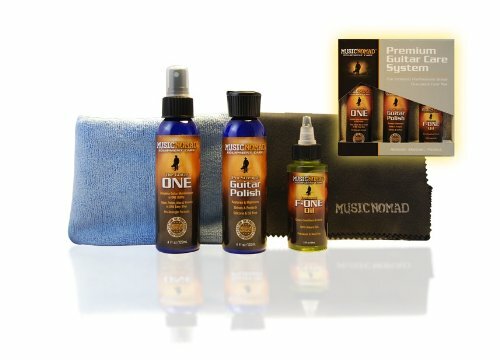 This guitar care kit comes with Guitar One, an all-in-one cleaner, polish and wax for everyday cleaning of the guitar’s finish. It also comes with guitar polish for deeper cleaning and polishing. The polish is also helpful in restoring dull or scratched finishes. F-ONE fretboard oil is for keeping unfinished maple, ebony, and rosewood fretboards in good shape over the life of the guitar. Made from 100 percent natural oils, it is safe to use. The kit also comes with two 16×12-inch microfiber towels that are lint-free and washable. Plus, they have no stitching along the edges. This five piece kit makes an excellent gift for the person who has that special guitar that gets special treatment. 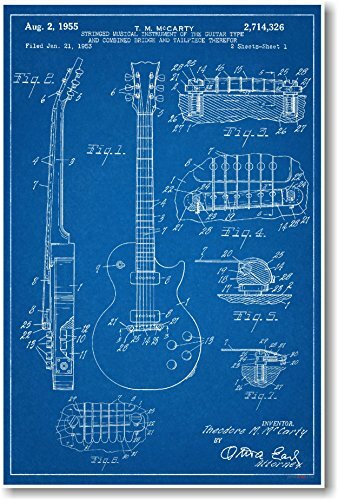 This 12 x 18 inch poster is a reminder of the beginnings of the guitar that would come to be the dream instrument of guitarists for years to come. It is made of high quality heavy 80lb satin cover paper to increase durability and prevent wrinkling. Fender fans may want to consider the Stratocaster and Telecaster posters, or even buy them all to make a set. In the eyes of a guitar player, these posters are sure to look good on the wall. If you can’t find anything here for your guitar loving friend or family member, then why not check out our guide on the best clip on guitar tuners.